NASHVILLE, TN — Victims of lynching and racial terrorism were memorialized at Fisk University recently with prayers and dedication of a plaque naming three whose murders are documented with public records. 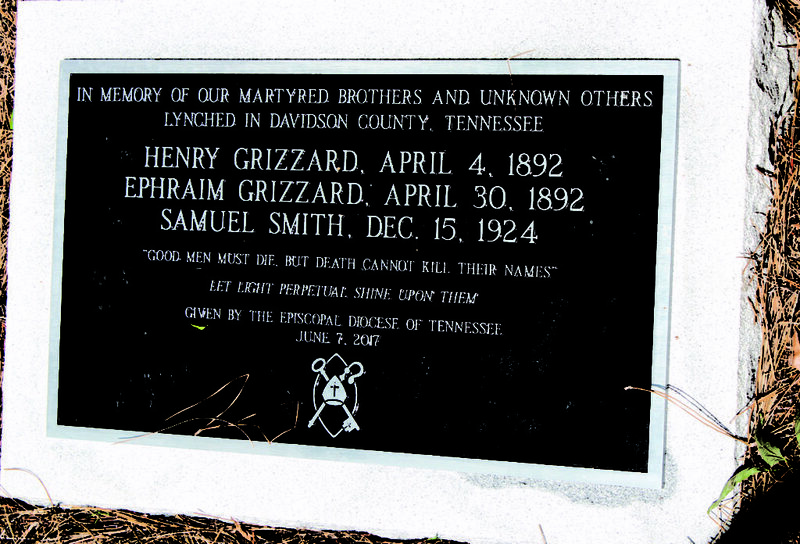 The Dec. 15, 1924 murder of Samuel Smith, 15, by a mob at Frank Hill Road — after being kidnapped from Metro General Hospital by masked men, as the “Nashville Banner” reported — is believed to be the last lynching in Davidson County. Prominent residents condemned the 1924 mob, prompted a state investigation, and offered rewards for perpetrators who saw Smith as an accomplice to theft of spark plugs from the car of a merchant who was shot during the alleged crime, according to a seven-page account distributed at the plaque’s dedication. Brothers Henry and Ephram Gizzard were lynched in April 1892; accused of assaulting white women, the seven-page account states. Arrested and jailed, Ephram was taken — as witnessed by thousands — by a mob after a gun battle with police guarding the jail. He was lynched from the Woodland Street Bridge. Henry was lynched near Mansker’s Creek Bridge by “a mob composed of the very best citizens,” the “Banner” reported. During religious services Wednesday last week in Fisk University Memorial Chapel, the Rev. Nontombi Naomi Tutu, curate at Christ Church Cathedral, Episcopal, reflected on how city residents might forge a new covenant with God for protection in light of such atrocities. “God cannot forgive our sins and iniquities, if we will not admit to our God that we have sinned,” Rev. Tutu told nearly 225 congregants. Then, at St. Anselm’s Episcopal Church, “there was a dedication of the plaque remembering and honoring three men who we know of who were … lynched … as a result of hate or racism, as well as honoring those who are unknown,” but who suffered similar fates, said Rev. 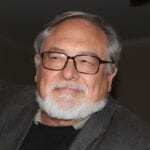 Rick Britton, rector of St. Ann’s Episcopal Church who led prayers “Reclaiming Hope Through Remembering” as provided by the Episcopal Diocese of Tennessee Task Force on Anti Racism in collaboration with David Lipscomb University Christian Scholars Conference.